TPD-433-B5 | Touchpad 4.3" Touch Screen PLC / Touch Screen Controller with Ethernet, RS-485 and USB ports, Real Time Clock and fits in regular electrical wall mount outlets. Brightness is 500 cd/m2. 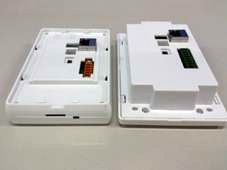 Supports Modbus RTU and Modbus TCP protocols. Comes with Free HMIWorks C Language and Ladder Logic Programming Development Environment. Supports operating temperatures between -20 ~ +50°C (-4F ~ 122F). Touchpad 4.3" Touch Screen PLC / Touch Screen Controller with Ethernet, RS-485 and USB ports, Real Time Clock and fits in regular electrical wall mount outlets. Brightness is 500 cd/m2. Supports Modbus RTU and Modbus TCP protocols. 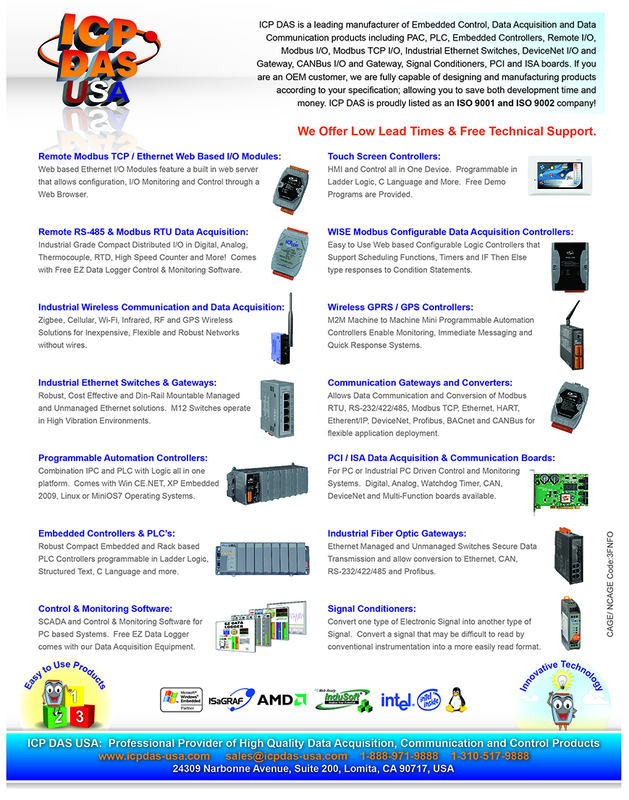 Comes with Free HMIWorks C Language and Ladder Logic Programming Development Environment. Supports operating temperatures between -20 ~ +50°C (-4F ~ 122F). 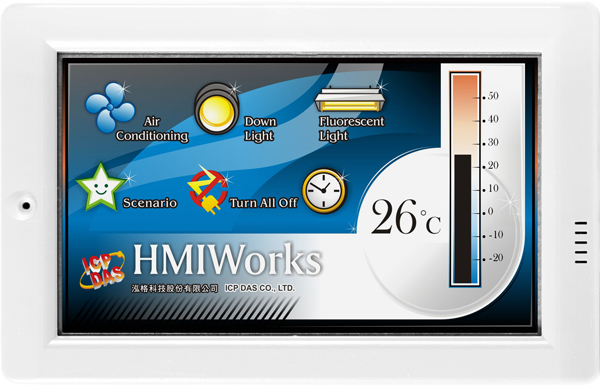 The TPD-433 TouchPAD is a tiny touch HMI designed for building and home automation. The TPD-433 is equipped with a high resolution TFT color touch screen and fits in with regular electrical wall-mount outlets. It seamlessly integrates with rich I/O modules and presents a beautiful, flexible and user-defined picture interface. In short, it is the best choice to upgrade mechanical switches to intelligent control pads.